ROMP recently rescued Chicago Yorkie puppies from a backyard breeder and these cutie patooties are available for adoption! 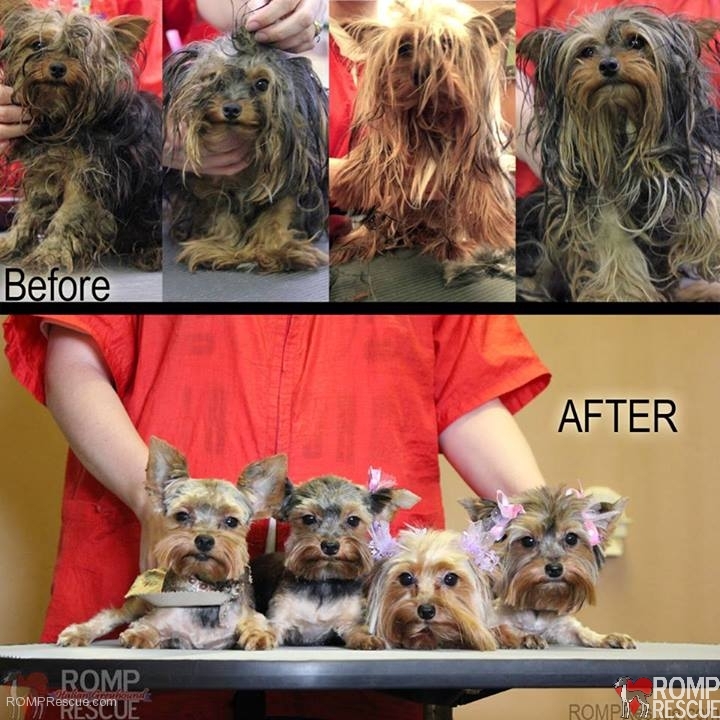 These are the before photos of the 4 Yorkie litter-mates that ROMP Rescued from a backyard breeder. Backyard breeders are small scale breeders who raise litters for profit and don’t put the care and research into healthy breeding practices that responsible breeders do. 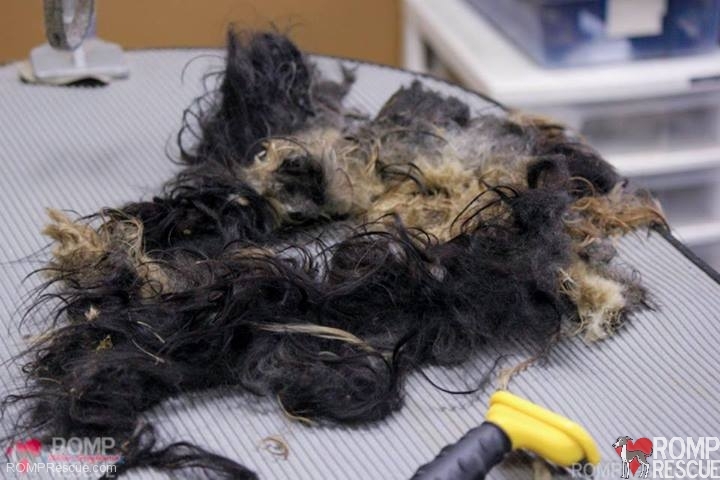 The dogs are often not groomed, socialized or vetted as well as they should be – which is why we urge you to spread the word to everyone to research where their next dog actually comes from. Responsible breeders try to maintain the health of the breed as a whole and will screen potential pet homes as carefully as a rescue group. 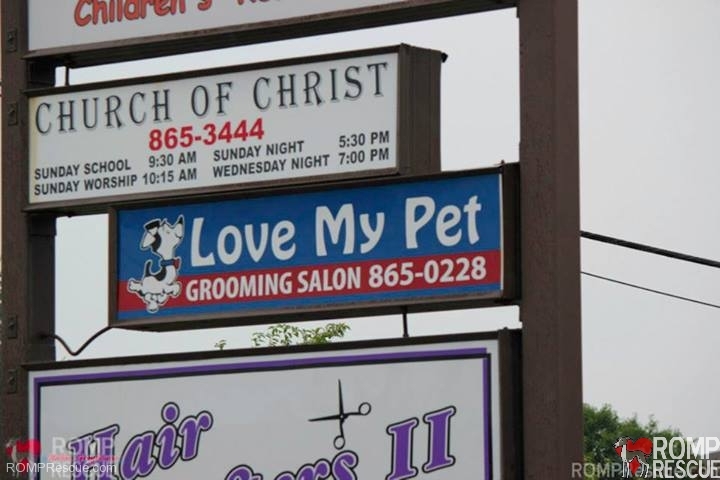 They will always take one of their dogs back at any age for any reason. Because of the amount of care and health testing they provide for their dogs, they are not profit-driven. 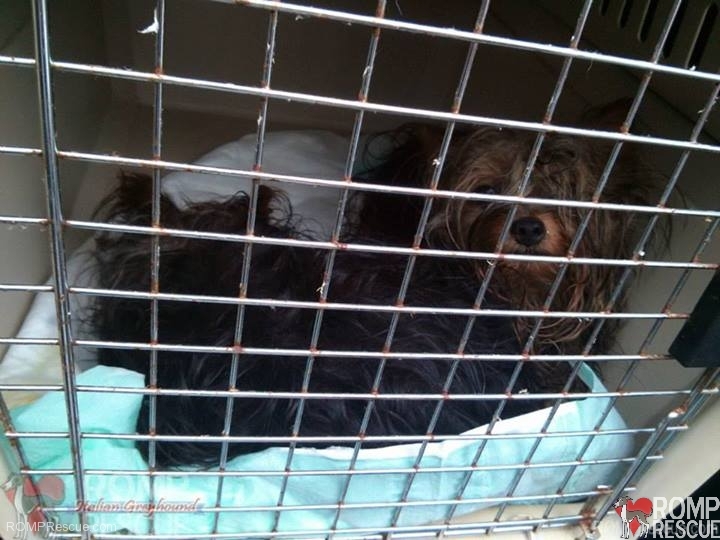 Shopping at pet stores or from backyard breeders keeps the parents of the puppies living in the conditions you see here. 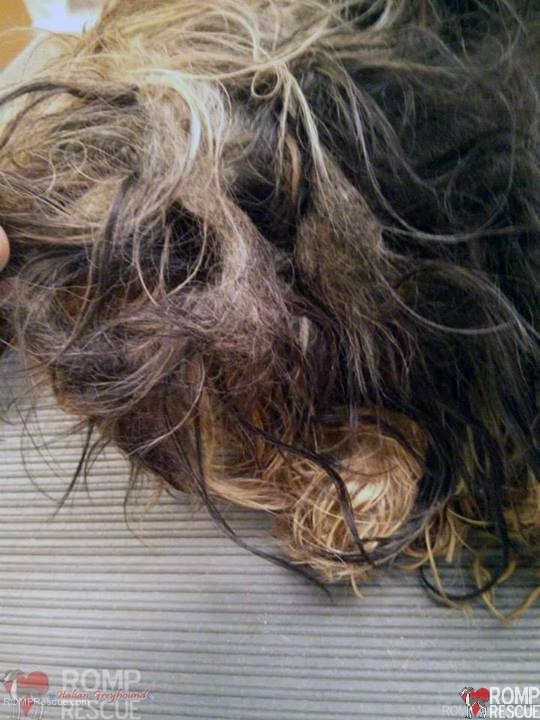 These pups are only 9 months old and this is how badly matted they are! Imagine what their mom and dad look like! Why are they at ROMP? As hard as it is to believe, they are ‘too old’ to be purchased and weren’t needed for breeding, so they are now in our care looking for loving forever homes. Welcome to freedom, welcome to the good life little ones! 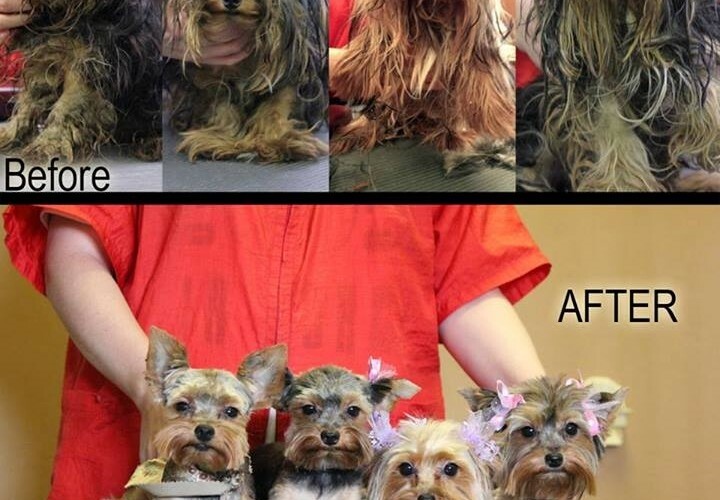 The photos above and below are of the four Chicago Yorkie Puppies when we arrived at Love My Pet, the Dyer, Indiana grooming salon that took on the challenge of fixing them up! Mary at Love My Pets did an amazing job, she washed them in a treated bath (three times), removed all their Yorkie hair mats, cleaned their ears, cleaned their teeth, clipped their nails, gave them a nice hair-do, and put cute little touches like hair bows and bandannas on the group to make them feel extra beautiful! THANK YOU! 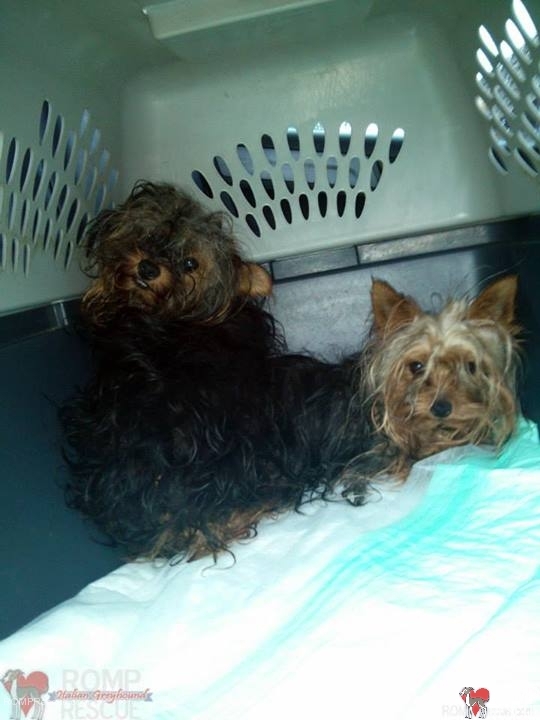 The Chicago Yorkie Puppies came in with hair mats so bad we couldn’t feel their body or legs. They were unable to see out of their eyes due to hanging mats and all the mats were connected. The only way she was able to fix them up was to cut off all their mats. Many of the hair mats were due to having long hair that was never groomed and being in situations where they would urinate on themselves. All four pups smelled really bad and they required 3 baths to get them squeaky clean! 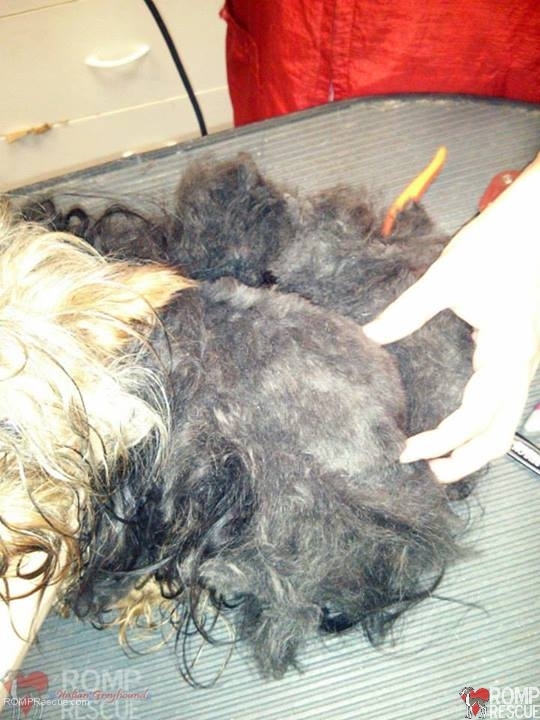 Above is an example of a Yorkie hair mat. 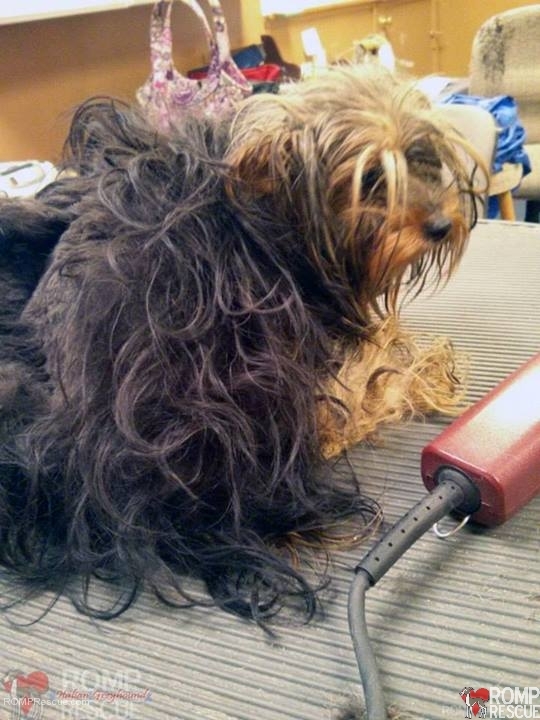 They are thick and just like when a humans hair gets tangled, the Yorkies hair does too! The only difference is they can’t fix their hair, we as humans can. 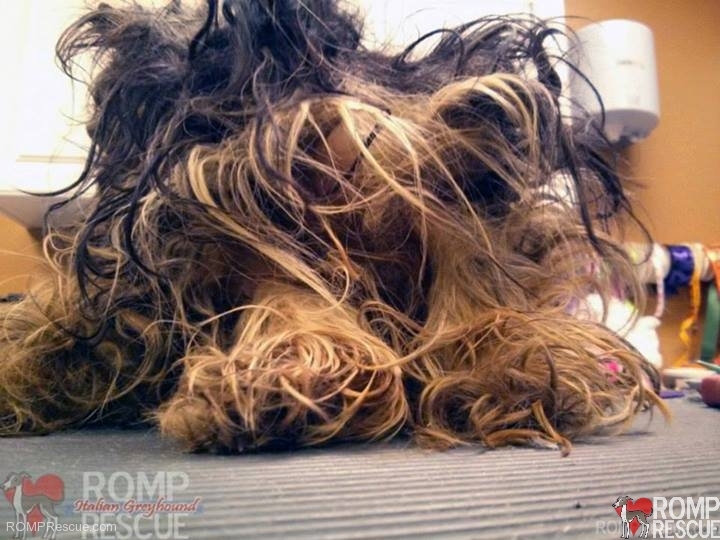 When they are in the care of someone who does not keep up with their grooming, they look like this. In the photo above you can see how Mary started shaving off the mats. She had to create a cut in the mats and then work her way along the skin with a very short blade because of how tight the hair way and how close the mats were to their bodies. Also see the photo below. The hair came off in one piece because it was intertwined, see the photo below. 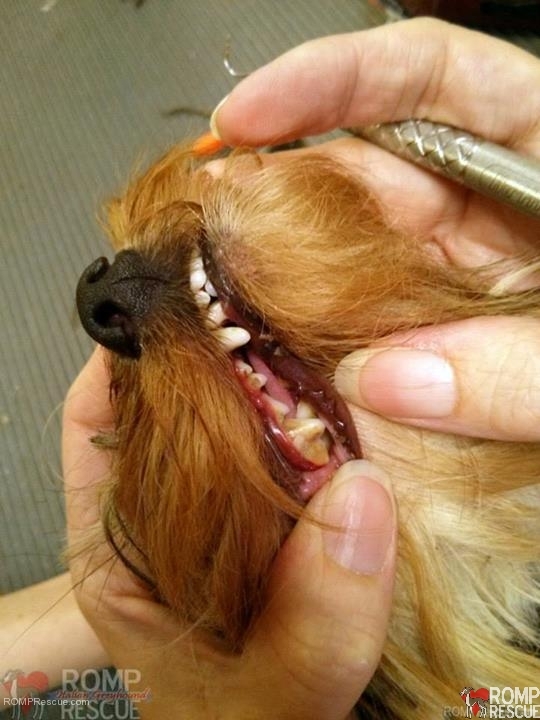 Despite being only 9 months old, these pups also had bad teeth. The food they are fed does not support heathly teeth and gums and, regardless, they do not receive proper vetting or dental care. 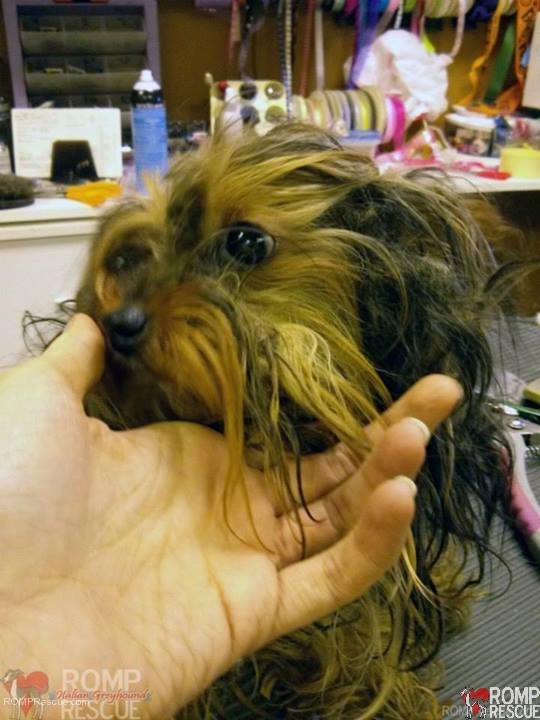 This entry was posted in ALL, News and tagged bad yorkie teeth, chicago, chicago yorkie puppies, Chicago yorkie puppies rescued, chicago yorkie rescue, hair, indiana groomer, indiana love my pet, love my pet, matted yorkie, rescued Chicago Yorkie puppies, Rescued Yorkie Puppies, shaved, shaved yorkie, transformation, yorkie, yorkie groomer, yorkie grooming, yorkie hair mat, yorkie plaque, yorkie plaque build up, yorkie puppies, yorkie puppy, yorkie teeth, yorkie teeth cleaning, yorkie transformation. Bookmark the permalink.